Also known as the Amazon leaf frog, fringe tree frog and Agalychnis craspedopus. 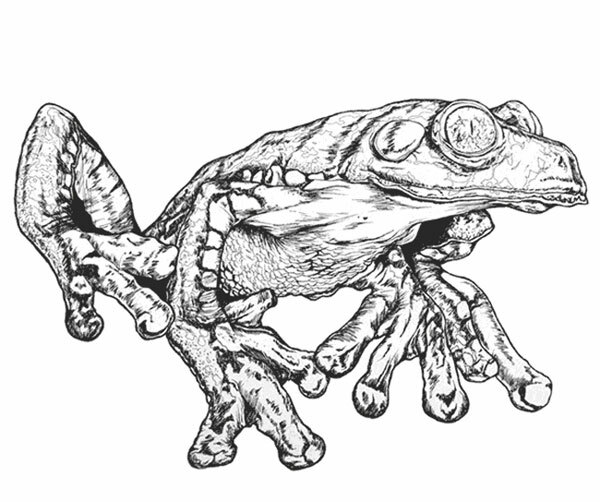 This black and white illustration of the Cruziohyla craspedopus shows the lichen pattern on the frog's back and the cool/weird legs. This is a really rare frog, and pretty expensive if you see one in a pet shop (2K I believe). 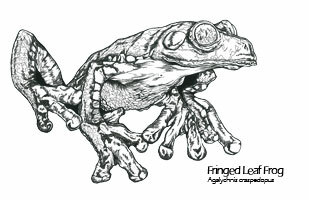 Animal drawing art description: Frog fine art drawing scientific illustration of Agalychnis craspedopus. Black and white ink drawing by Madeleine Dubé. 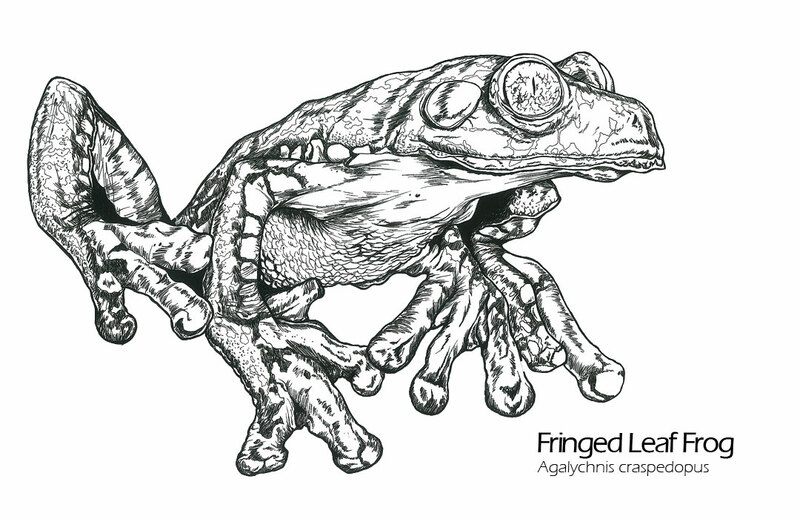 Fringed leaf frog drawing artwork available for sale as greeting cards, postcards and high quality giclée print reproductions (8"x10" and 11"x14"). Fringed leaf frog animal image available for licensing. Ideal for commercial uses such as print, packaging or advertising. For information contact me by email or by phone: 1-514-770-0705.